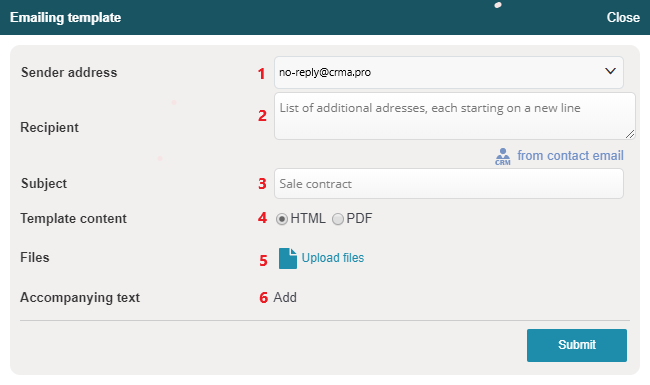 You can generate templates in the CRM and send them by email. 5 — add comments (in the beginning of the message). Tick "Allow using the email address from user profile" to add the email address from user profile to the selection options for sender address. All the emailed documents created from templates are stored in Main menu — Documents — Emailed (upper tab). 7— filter by the profile of CRM element the document originated from.